Dr. Eric Suba is a pathologist in San Francisco, California. He got his medical degree from Washington University School of Medicine, and he is practicing pathology for more than 20 years. Dr. Suba did his residency at Washington University- Barnes- Jewish Hospital, ad complete training in biology at Princeton University. 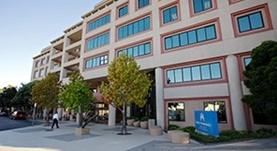 He is affiliate with Kaiser Permanente San Francisco Medical Center. Dr. Suba is board certified in anatomic pathology and clinical pathology. Dr. Eric Suba has contributed to 3 publications. Suba, E. J.,Raab, S. S.; J. Natl. Cancer Inst.. 2013 Aug 21. RE: Population-Level Impact of the Bivalent, Quadrivalent, and Candidate Nonavalent Human Papillomavirus Vaccines: A Comparative Model-Based Analysis. Suba, E. J.,González-Mena, L. E.,Van Thái, N. E.,Raab, S. S.; J. Natl. Cancer Inst.. 2013 May 1. Self-collection of vaginal specimens for HPV testing. Suba EJ Gonzalez-Mena LE Arrecillas-Zamora MD Raab SS ; Lancet . 2012 Apr 28 .